This was two days before my birthday. And just like some of the people I know who feel the same when their birthday's near, I kinda felt sick. So most of the time, I was in bed then the couch... or couch then the bed. Surprisingly and fortunately, Pia was utterly well-behaved! She just had these little cute kicks that were inevitable for her age; like waking me up when I dozed off while watching her cartoons with her or telling me that she's hungry. She's hungry like every 5 minutes, this kid! But most of those times, she was a cool kid. She is, actually, even if I don't feel sick. She just gets easily bored so she gets mad when she's not doing anything fun or creative. 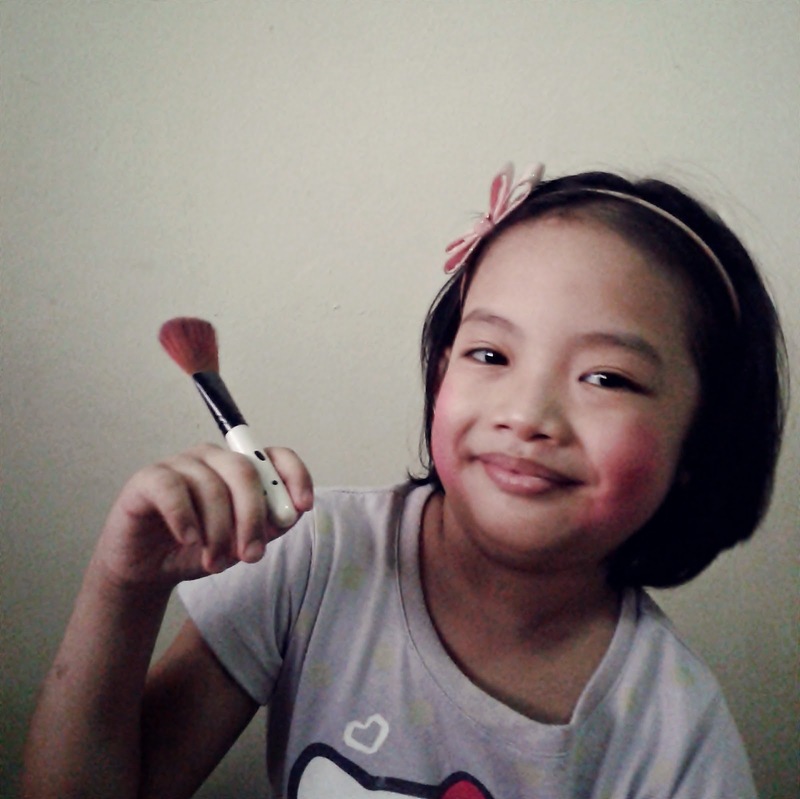 There went my make-up brush and pink blush-on as the sacrificial lambs to cure her boredom.